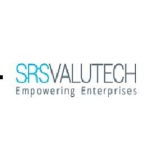 SRS Valutech is a leading enterprise business and technology solution partner for medium and large global customers, is seeking Business Analyst, who thrives on challenge and desires to make a real difference in the business world. With an environment of extraordinary innovation and unprecedented growth, this is an exciting opportunity for a self-starter who enjoys working in a fast-paced, quality-oriented, and team environment. - Mentoring the team member and leading the team of developers. - Presenting proposals to clients. - Ability to learn new technology quickly. - Having good communication and proven presentation. - Identifying options for potential solutions and assessing them for business suitability.